The bus crisis and the eviction of squatters that led to civil unrest at the Belcan Bridge topped the news on Wednesday. But at night, shots rang out in the North Creek area. Two men rode up, one opened fire on Erwin Staine and a friend. Unlike his friend, Staine did not stand a chance; he was shot in the chest, abdomen and foot and died shortly after at the Karl Heusner Memorial Hospital. 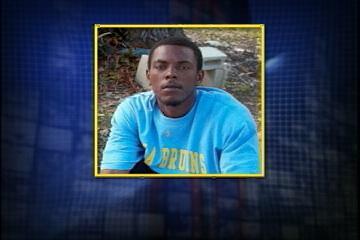 His family believes that the person who pulled the trigger was known to Staine. News Five’s Andrea Polanco reports on the latest murder in the Old Capital. According to sources in the area the incident was witnessed by several residents of North Creek. Reporting for News Five, I am Andrea Polanco. One person has been detained for questioning while police is looking for another. Another unsolved murder, more witnesses afraid to speak up & I’ll ask the question that crossed everyone else’s mind. With no pictures of the deceased, does this have any connection to the murder charge that someone walked from ;last week? this situation has gotten out of hand,i think it’s just fair now for people to take the law in their own hands.I’m being honest if anyone,anyone and i mean anyone kill any of my brother once i know who it is that person will ! @#$%^& DIE.Not a treat a promise. A fair trial, then a swift hanging. That must be the invariable law for murderers. Crime will not stop… but we want fair justice of an innocent and humble young man… Erwin was a cool boy as i known him from years behind….